Buttermilk Honey Bread slices beautifully and has a slight tang from the buttermilk and a sweetness from the honey that ordinary white bread doesn’t have. 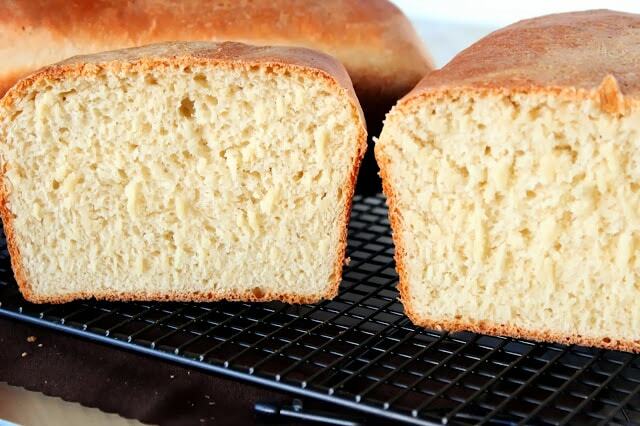 Buttermilk Honey Bread features a light sweetness and tender crumb. The crust on this buttermilk honey bread is chewy and firm, but not at all tough. The tender interior crumb is light and airy yet and had great substance and structure. When sliced and toasted, you’ll feel like you just bit off a little piece of heaven on earth. Can I get an Amen to that?!! 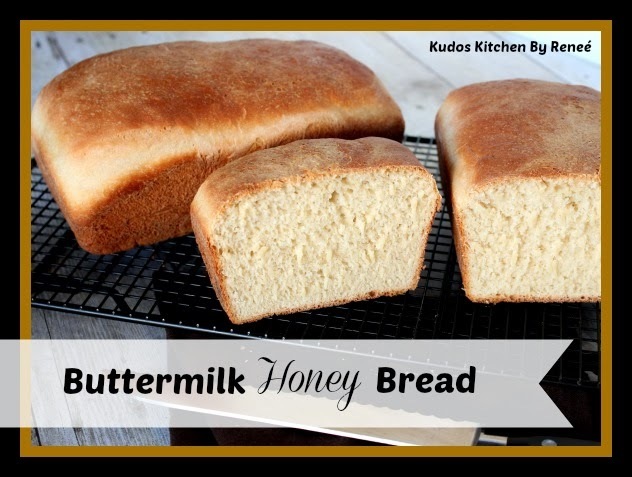 **Please Note – The printable recipe card with detailed instructions, complete ingredient measurements, and nutritional information for making Buttermilk Honey Bread is available near the end of this post. 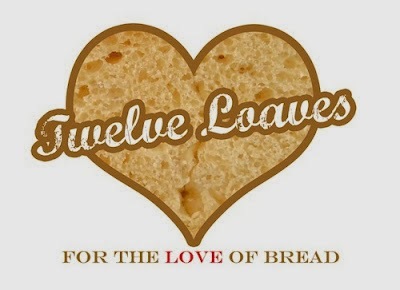 **This post is being updated from the original publish date of 2014 when I used to participate in a bread baking group called Twelve Loaves. Why use buttermilk in bread baking? Using buttermilk in baked goods brings out a tanginess in flavor, and also makes for a more tender interior. Using buttermilk in bread baking specifically makes the dough rise faster, and gives it better body than regular milk would. How long does buttermilk honey bread take to make? From start to finish this bread will take approximately 3 hours, maybe a little more, maybe a little less (not including cooling time). Approximately 15 minutes to prepare the dough. 60 minutes for the first rise. Approximately 15 minutes to shape the dough. 60 minutes for the second rise. Approximately 30-35 minutes to bake. Cooling time will depend on how long your willpower holds out. How can you tell if a loaf of bread is cooked in the center? The easiest way is to remove the loaf from the pan (use oven mitts), turn it upside down, and tap on the bottom of the loaf. If it has a hollow sound, the loaf is cooked. If it has more of a dull thud, it needs more time in the oven. Can I knead the dough by hand or do I need a stand mixer and dough hook? By all means, if you’d prefer kneading the dough by hand, please do. When kneading bread with a stand mixer, always use the dough hook, and always knead the dough for longer than you think you need to. For this Buttermilk Honey Bread, knead the dough at least 7 – 10 minutes. 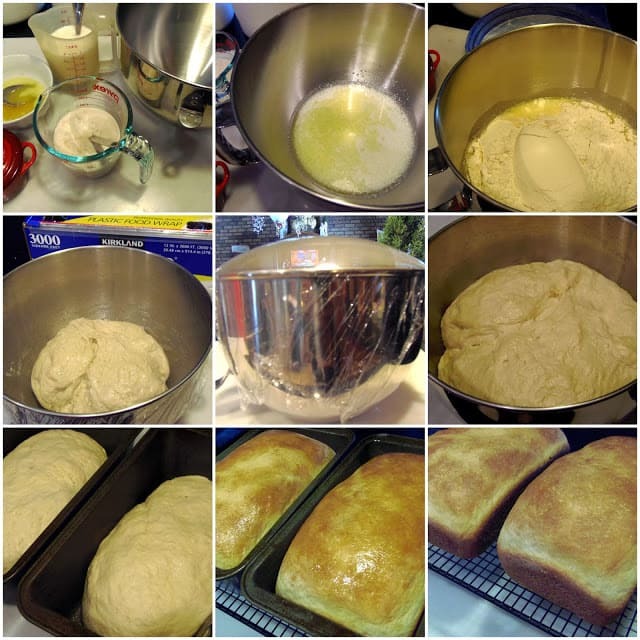 **The following affiliate links are some suggested products I’ve chosen that will aid you in the making and serving of this recipe for Buttermilk Honey Bread if desired. 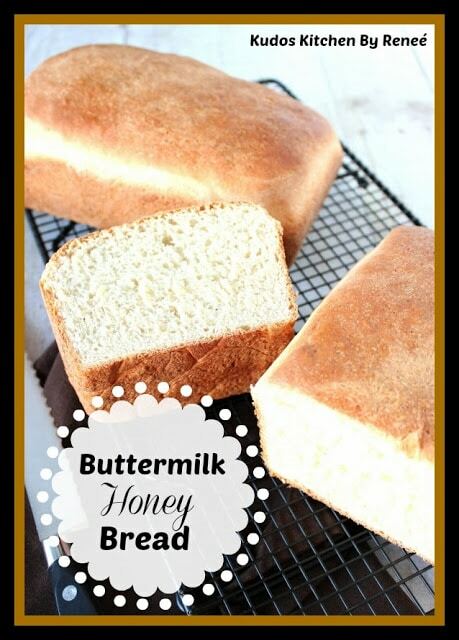 Below is the printable recipe card for today’s Buttermilk Honey Bread. If you’ve enjoyed this recipe and look forward to making it (or have already made it), I’d appreciate if you’d take a moment to give it some feedback by way of stars near the comment section at the end of this post. Thank you so much! In a small bowl, dissolve the yeast in the warm water. Add the sugar and allow the mixture to sit and get foamy (about 5 minutes). In the bowl of a stand mixer fitted with the dough hook, combine the buttermilk, honey, 2 tablespoons butter and the yeast mixture. Add in the remaining flour and mix with the dough hook on medium speed for 7-10 minutes. Remove the dough from the bowl and spray the bowl with cooking spray. Put the dough back into the bowl and spray the top of the dough with cooking spray. Cover the bowl with plastic wrap and place the bowl in a warm place (in the oven with the light turned on is perfect) until doubled in volume, about 1 hour. Punch the dough down to deflate, and divide it into two equal pieces. Roll and form each half by hand into an evenly shaped loaf and place each half into a 9x5 loaf pan that has been sprayed with cooking spray. Allow the loaves to rise again in a warm, draft-free place until doubled in volume (about 50 minutes). Bake the loaves for about 30-35 minutes or until nicely golden and they sound hollow when tapped. Once baked brush the tops of the loaves with the reserved 1 tablespoon butter. Remove the loaves from the pans and allow to cool for about 30 minutes and then you're ready to slice and serve. Below is the list of the other bakers from the Twelve Loaves baking group and their chosen recipes for our theme of the month “Keep It Simple” in January of 2014. If you’re a lover of baking bread and would like to join the #TwelveLoaves bakers, we’d enjoy having you bake along with us. Every month there is a new and different “theme” and you can be as creative as you wish with that “theme” in making your bread for the month. The bread can be in the category of quick or yeast and the “*rest* is up to you! We here at #TwelvesLoaves enjoy *rising* to the occasion each and every month (Bread Bakers Humor) and would love for you to join us! Kitchen Notesand Renee from Magnolia Days. Sadly, the Twelve Loaves group of bakers no longer bakes together, but I still have very fond memories of my time with them. I baked some pretty spectacular bread when I was involved with this group, and I love how the monthly themes helped encourage my bread baking creativity! Should you have any questions or comments regarding this recipe or anything else you’ve seen on my site, please don’t hesitate to contact me directly or leave me a comment in the comment section below. It is always my distinct pleasure to get back to you with a reply just as soon as I possibly can! Kudos Kitchen by Renée ~ Cooking up artistically delicious family-friendly dishes from my Kudos Kitchen to yours! The flavor and texture of this bread sounds marvelous!! Happy New Year, Renee!!! Buttermilk does wonders for flavor and texture. I've not used it in bread yet however I see that changing very soon. Happy New Year to you Renee! This is a breakfast that I would look forward to eating almost every morning. Best wishes for a fabulous New Year Renee, personally and professionally. 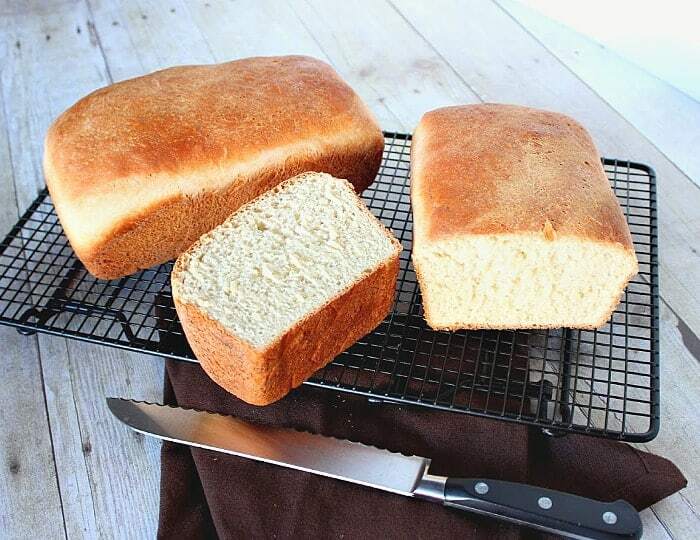 oh this buttermilk honey bread looks absolutely delicious. . I want some!! slathered with honey butter!!! yum! Happy New Year!! I wonder why here in Italy we aren't used to buttermilk. It makes excellent breads like your. Happy New Year Twelve Loaves mate! I love the buttermilk and honey combination, Reneé! A little sweet and a little tangy too. Sounds like the perfect bread! That bread looks so fluffy and soft! Good idea on making your own buttermilk. Happy New Year! Buttermilk and honey sounds divine and your bread is just perfect, Renee. Love its simplicity for our Keep it Simple theme this month! Happy New Year! What a delicious looking bread! 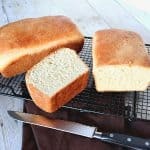 I have made a buttermilk honey bread before but in my bread machine and it did not turn out anywhere as good as this – obviously I had the wrong recipe :). I am looking forward to trying this soon and baking it in a loaf pan. Wishing you a happy 2014! Thank you so much. This is a wonderful recipe. I've made this bread twice in the past month and it never failed me. I hope you enjoy it and Happy New Year! Thank you Lora. I'm glad you think so too. I really is a wonderful recipe. Happy New Year! Hi Karen, the first time I made this bread, I thought I had buttermilk but didn't so I made my own. The second time I made it, I never even planned on using store bought buttermilk because the homemade worked so beautifully! Happy New Year to you also! I've heard that before that Europe doesn't use buttermilk. I think YOU should spearhead a new trend Rossella! LOL Especially since you can make your own so easily! Happy New Year to you too, Twelve Loaves Mate! Why didn't I think of serving mine with honey butter??? Brilliant idea Alice! You simply must try buttermilk in breads, Renee. The flavor is incredible! Happy New Year to you also! Thank you Liz. I really enjoy making this recipe. It's so easy and very rewarding! Not one but two beautiful loaves of bread! I like the thought of buttermilk with honey and I never seem to have it on hand either. Glad to hear that making it with milk and vinegar worked well. I have only used lemon juice but always have vinegar in the pantry so thanks for the tip! MMM buttermilk honey bread! 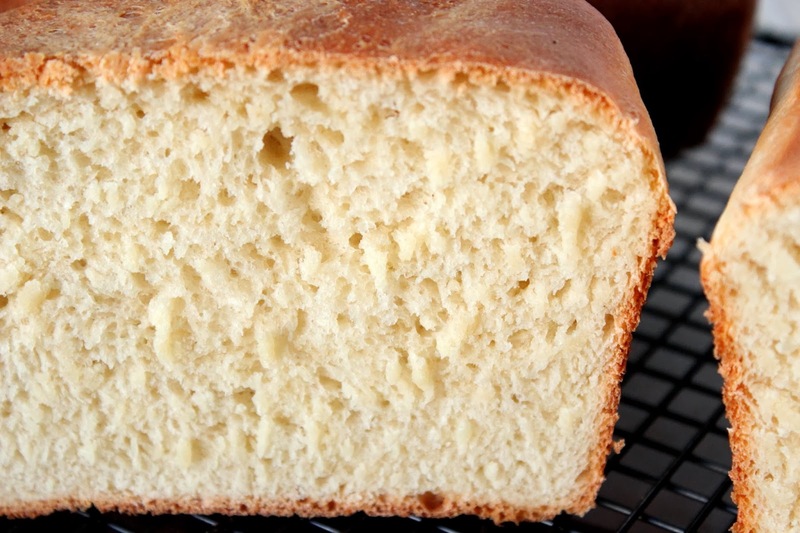 It sounds as though this has the moist-ness of a white bread but with flavor! This would be perfect for the French toast that I am craving. 🙂 Thank you for baking this beautiful bread to share with us. Hi! I made this bread today and it was amazing! I used "bread flour" instead of AP flour, but not sure if that made any difference. Thanks for the recipe-I am keeping it on my Pinterest board! Hi Shawn! Thank you so much for you comments and for loving this recipe as I do. I'm so glad you had success with it. I really appreciate you letting me know. Thanks again. Did you forget the honey in the directions? Your 100% correct, and I apologize for my error. The honey is added into step two with the buttermilk, butter and yeast. I've adjusted the recipe and also the print out. Thank you so much for bringing this error to my attention. I'm surprised I hadn't heard from someone before now. I do hope you'll try and enjoy this delicious bread. Please let me know if you do and how you like it! Thanks again! Oh man! You got that right!! Thanks, Noelle! I love how you say that the cooling time is as long as you can hold out! That is so true!! LOL. When freshly baked bread is involved, there’s not much chance the loaf will be fully cooled before it’s sliced and eaten.